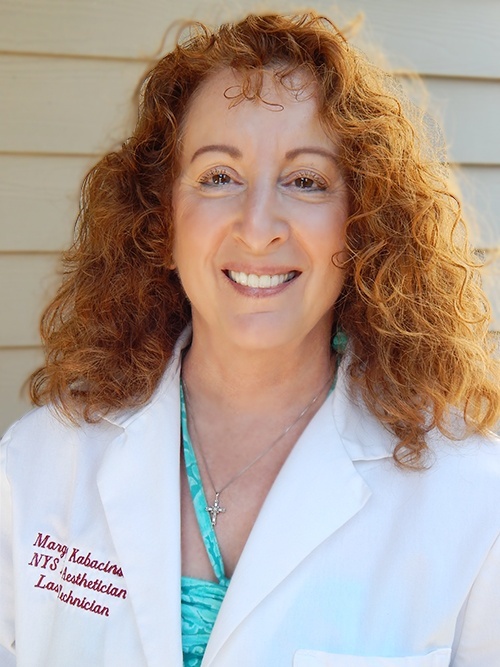 Margaret Kabacinski is a New York State-licensed aesthetician, certified laser technician, and is the owner and sole operator of Northport Skin Fitness Inc., located at The Northport Wellness Center. Margaret began her career as a licensed Cosmetologist in 1970, and at that time was practicing in the area of hair, nails and skin. Since then, the licensing has separated the three areas, and when she established her practice, Margaret furthered her studies and took the state boards to receive her aesthetics license in 2002. She enhanced her degree by adding certifications in Oriental Massage and Laser Hair Removal and Skin Rejuvenation. Margaret trained and worked in a medical office from 2002 to 2008 and then established her practice at the Northport Wellness Center in 2009. Margaret offers a unique approach to skin care with her wholistic background, which was fostered by her affiliation with the Wholistic Health Center in Syosset and Stony Brook, and the NY College for Health Education and Research in 1995. It was there that she studied and headed the complimentary health clinic for eight years, developing her enthusiasm and passion to incorporate alternative therapies into the practice of aesthetics. Margaret’s specialties are in non-toxic, anti-aging skin treatments, with the use of essential oils, massage and laser skin rejuvenation treatments and laser hair removal. She has developed a non-toxic line of products that contain essential oils for skin health and wellness. Margaret consistently upgrades her skills by attending certified training sessions to enhance her knowledge in the field of aesthetics. She is dedicated to promoting a healthy, non-toxic approach to skin care, longevity and wellness. Her zeal and dedication is in educating her clients about skin health and enjoying a healthy lifestyle is the foundation for her unique services.